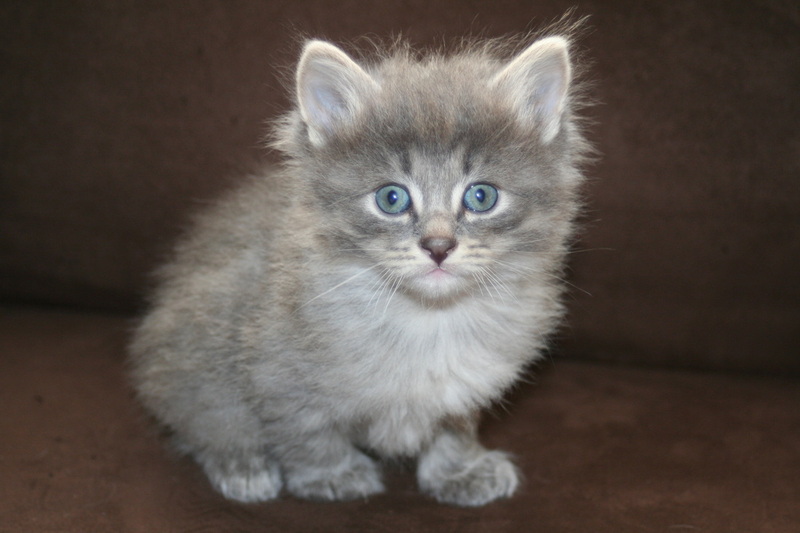 Eustoliia's Kittens Oct '12 - Daisley Siberians Welcome to the kitten site! 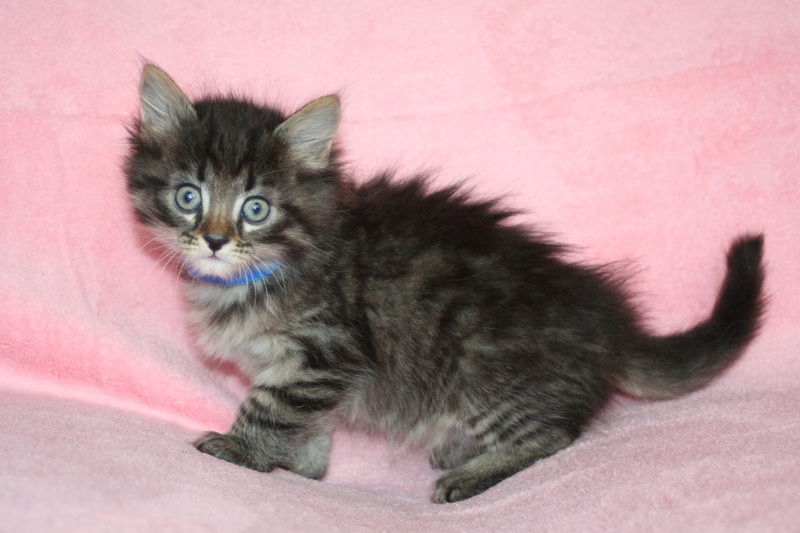 Daisley Siberians Welcome to the kitten site! Various views from around the house. Update Dec 14. Casual photos. Sorry about the mucky eyes.. mama is not grooming them anymore as she has gone into heat and they haven't quite got the self-grooming skills yet. I am helping them wipe their eyes and ears. ..We are also doing paw washes in the sink frequently as they sometimes think their litter pans are large sand boxes for playtime. I continue to teach them not to get onto the kitchen table , to use the scratching posts and not to get into the refrigerator. They are all doing quite well and age appropriate behavior is seen. All of the kittens are very affectionate and purr often before my hand reaches them. Some of them are taking to giving kisses.. and they all run to greet me when I return home. I started working twice a week at the vet clinic and they are getting used to being along a little bit. We will all miss them a lot. My disabled neighbor girl comes over every other day to play with them. She is very patient and talks to each one. 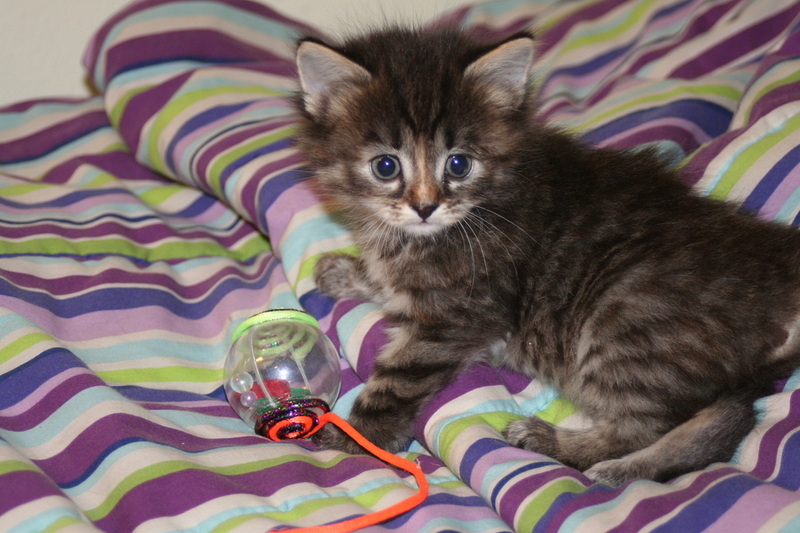 These kittens will have lots of love to bring into their new homes! WOW Only just over a week until it is time to leave. Tonight Eustollia will move out into another room with the other queens. We will be doing FVRCCP vaccines and deworming, weights and more photos. Henry and Romeo have a neuter and microchip scheduled for Monday the 17th, when they will also all go for their wellness exams. The kittens have the run of the house now and except for trying to get into the fridge and dishwasher, climbing the Christmas tree and sneaking onto the kitchen table they are very well behaved. HA! Fergie and Henry love to wrestle. Romeo loves to sleep under the kitchen table on a hidden chair. Marshmallow jumps on me in the morning when my alarm goes off. Miranda and Portia have been hiding in the couch.. and sleeping a lot too. When I pick them up and give them their individual attention they purr and relax in my arms. All of the kittens are little love bugs.. very sweet.. and come when I call "here kitty kitty". When I fill the food dish.. they come galloping from remote corners.. and they also love to run very fast and then slide across the laminate flooring. What Cherubs!!! 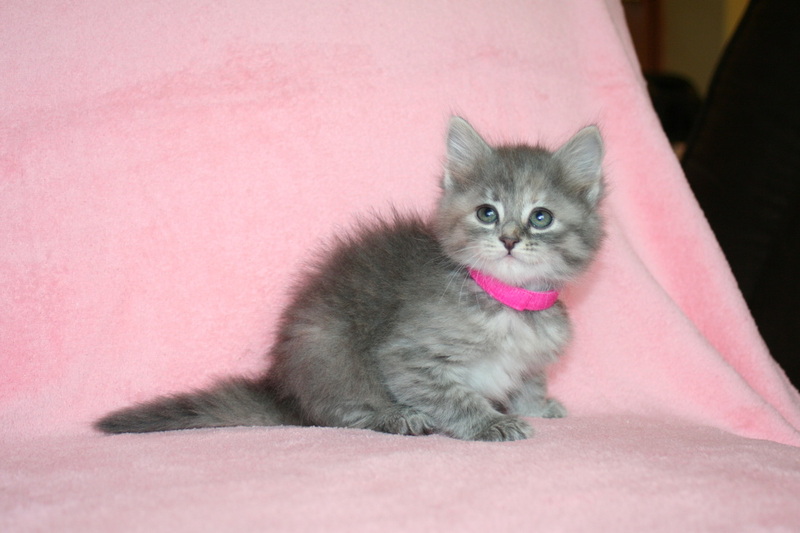 Welcome to the Eustoliia kitten blog: Henry IV, Miranda, Marshmallow, Fergie, Romeo and Portia. Because they are so fun to watch now.. I'll be posting videos. Here is one of my dog, Bella, and a few kittens rolling around. 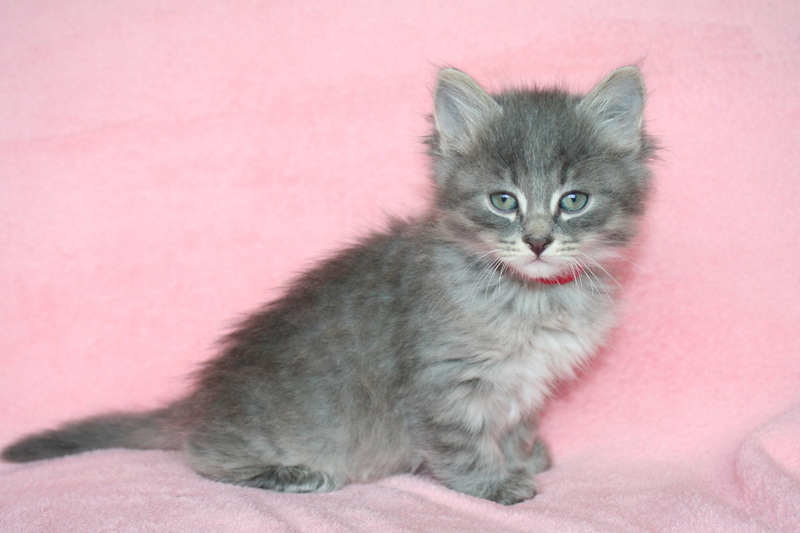 Henry IV - Pending to Darla Redmond, WA deliver to Seattle 12/23 (James Bond style) Big Sweetie, bold, masculine. Henry is the first everywhere. He is full of joy. Henry will thrive with another cat, dog or activities in the house. 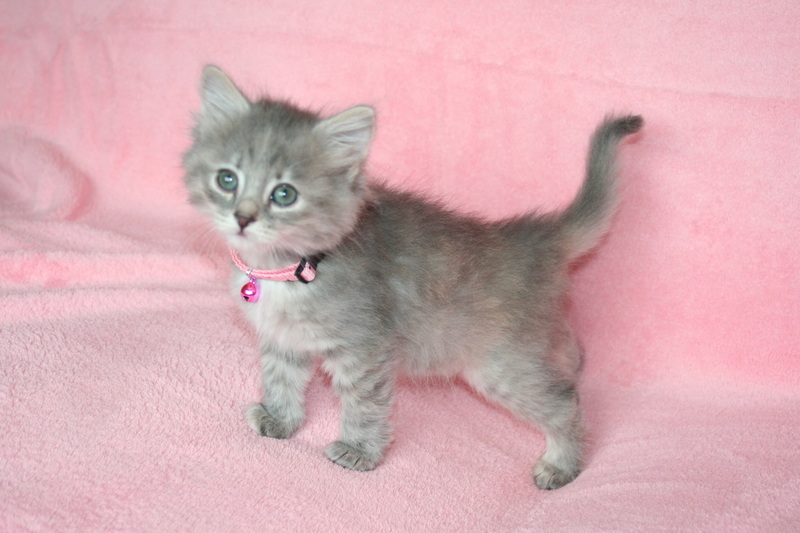 Miranda: SOld to Randy N., Vancouver Cuddle Kitty. Miranda likes routine. She is very sweet and gentle. Her bold tabby stripes are close together like a tiger. She has gold tones in her fur. She will be a beautiful green-eyed princess! 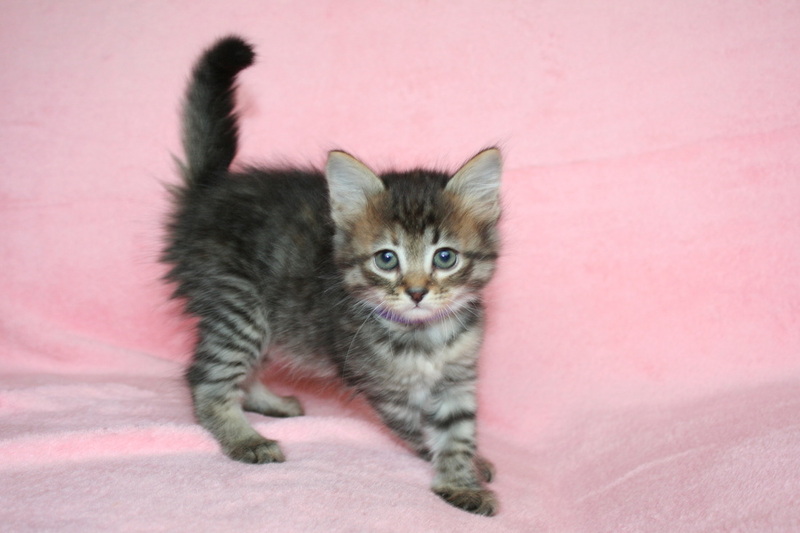 Fergie: Pending to Darla Redmond, WA All around. Fergie is a great athlete and a "girlie girl" and the same time. She is often running with the boys and then sneaks into my lap for a nap. Fergie is a thinker, a planner and a lover. Romeo : SOLD to Stephanie and family , Wilsonville. (I almost kept him) Big Handsome boy who likes to stay near his siblings. Romeo is a lover, a little co-dependent and is the only one to climb up to my keyboard for attention. His big paws indicate a large frame. He is very gentle. This wonderful group is almost 7 weeks old. They are all so pretty and friendly. Henry is the most active and second is Romeo. They are all eating solid food (Blue Healthy Growth "kitten") and using the litter pans with accuracy. They are wearing collars just for photos and an hour per day to get used to them. I see some beautiful green eyes developing. Their days are spent playing hard, sleeping hard and eating a lot. In the evenings we all cuddle and watch tv. When I call "Here baby baby" they run to me. (if they are awake). I am having lots of fun with these kittens and am hoping that they will be adopted in pairs or to homes with a cat or dog already. I'll add a slideshow of the hundred photos I took in the next few days. Welcome! 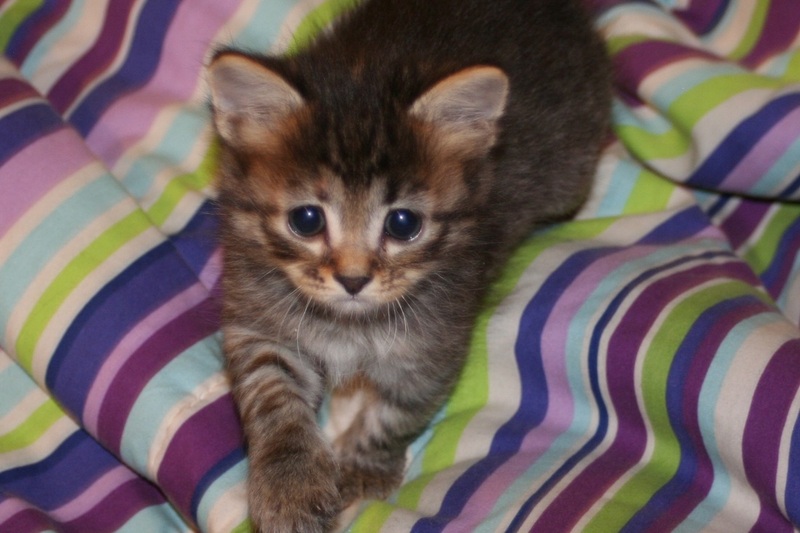 updated Nov 7th, 2012 6 kittens born during the first Presidential debates.. Oct 3rd. Photos Not Permitted for Commercial Use. Daisley Siberians is a TICA member. 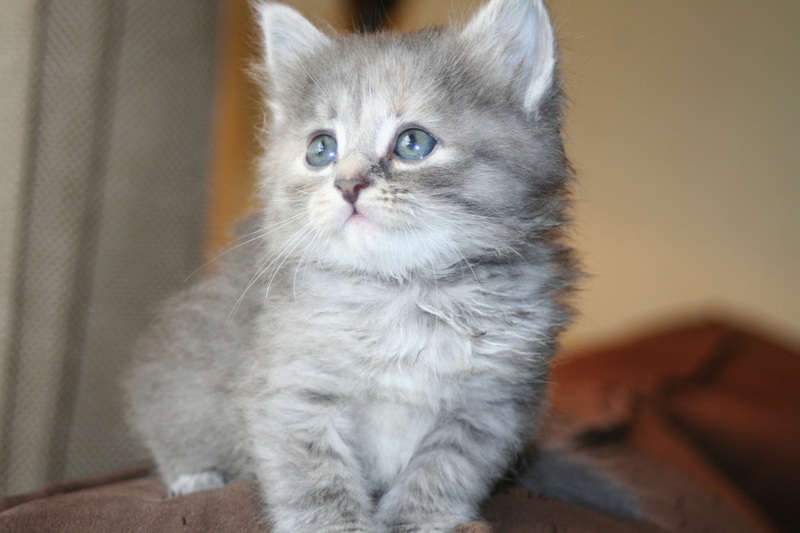 All kittens come with a lifetime of email and telephone support from breeder. 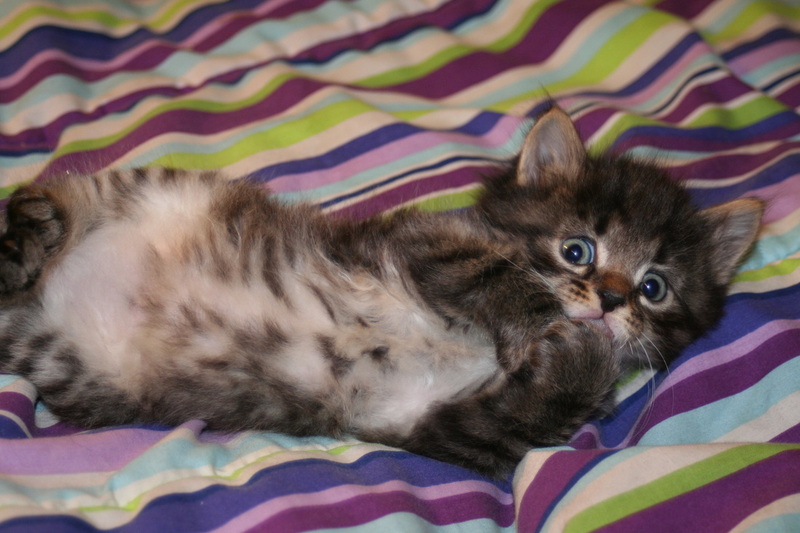 Kittens are raised under foot as members of the family. 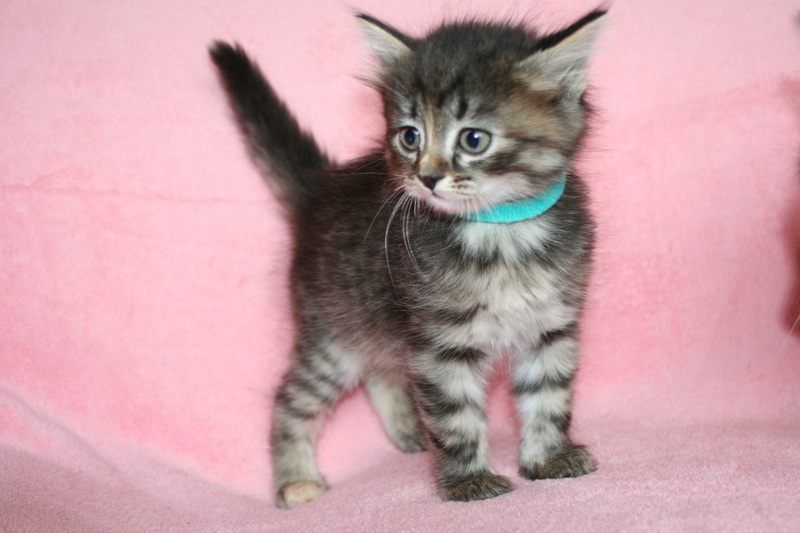 Siberian kittens available Oregon, Washington, California, Montana, Canada. Texas.